I was born in 1993 and am looking for my new home! 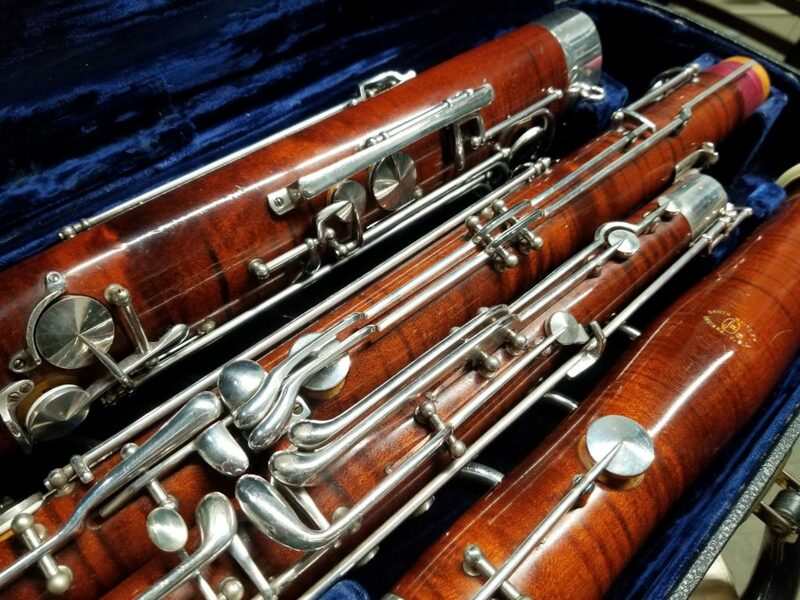 I would make a great addition for anyone looking to upgrade from a Fox Renard bassoon. If you like ease of articulation and lots of flexibility, then I am the right bassoon for you! I just had a full service done in the repair shop, and I’m paired well with a Heckel CC2 bocal. I don’t come with a lot of extra keywork, but I do have a nifty low C plate that will make low register playing extremely fun! I really enjoy it when you practice, so please don’t leave me alone for very long in my case. Will you help me find my forever home?